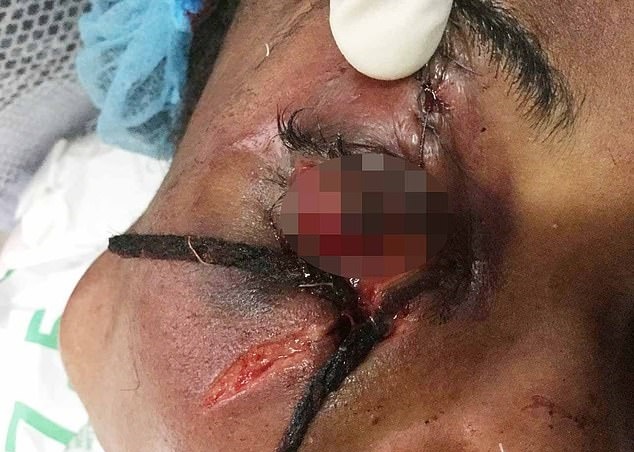 A woman got a plaited hair extension stuck in her eye socket after her sister stabbed her in the face with a shard of glass and blinded her. 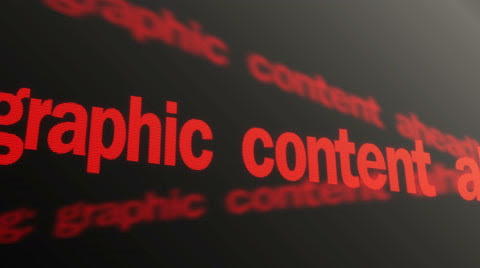 The gruesome injury ended up with a doctor having to tug out the weapon and the strand of hair with a pair of forceps. The unnamed 37-year-old, from the Delta State, was in an 'anxious state', doctors said, because of the gaping wound in her cheek. A doctor from the Delta State University, reported the woman's predicament in the journal BMJ Case Reports. However, she suffered 'irreversible' damage to her cornea – the front of her eye – leaving it blinded and useless. The section of hair – believed to have been sliced off the woman's weave during the attack – were sticking out of a diagonal slash beneath her eye. 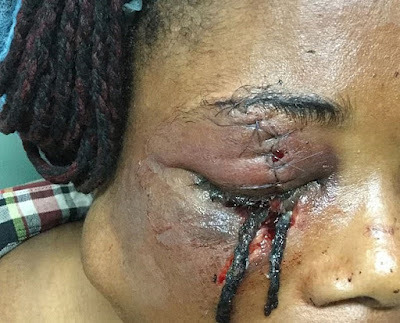 The doctor did not include any details of the woman's argument with her sister or any other injuries sustained in the vicious fight. 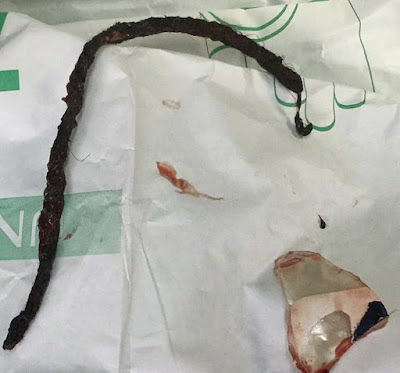 Dr Mabel Okiemute Etetafia's report suggests the woman's hair was hanging in front of her face and the plait became caught on the end of the glass during the stabbing. 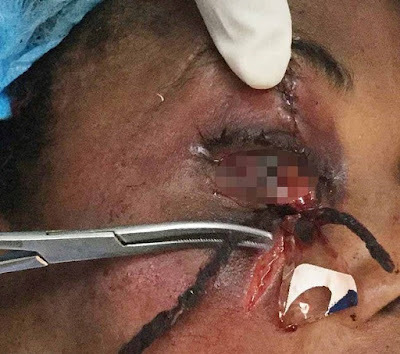 'The cause of the retention of the woven artificial hair on the face was not initially clear,' Dr Etetafia wrote.